A family owned bed & breakfast serving the Upper Valley for nearly 30 years. The Dowds' Country Inn, known also as the Latham House, is an historic home that was renovated in 1989 into a quaint, country bed & breakfast. It has since grown into a 20 room establishment with a 200 seat banquet hall hosting catered receptions & banquets from weddings to company parties. 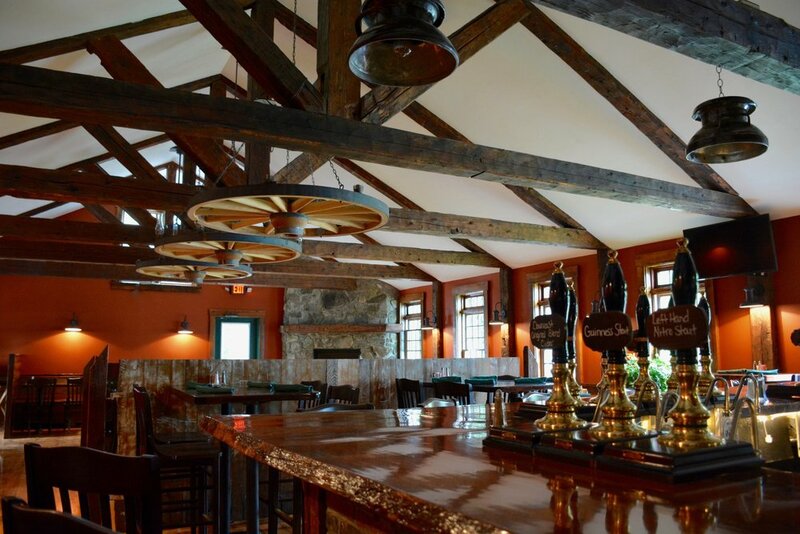 In 2016, the Dowd family added a new extension to the building and opened the Latham House Tavern, a public house offering hearty american fare, a full bar, and eighteen craft beers drawn through traditional English Beer Engines. The Dowd family & staff seek to provide a home-away-from-home experience with home-spun, NH hospitality. All photography provided by Patrick Dowd. Looking to reserve a room or to find out more about our offerings? Looking to plan a catered event? The Latham House Tavern is our newest addition. Opened in 2016, our tavern provides hearty American fare from local burgers & salads to grilled salmon & broiled steaks. The Tavern has quickly become a local favorite. Join us today! Dartmouth College, Woodstock, VT, the White Mountains, Hiking, Swimming, Skiing and more. Your New Hampshire adventure starts here.